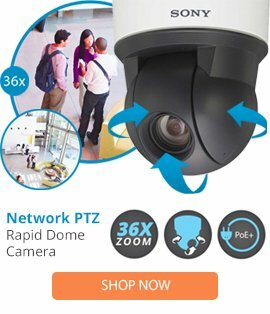 The CX-702RS is a 70 x 70/150 x 8 wireless dual lens from Optex that is able to offer long-range extremely stable detection performance within industrial and internal commercial applications. The CX-702RS wireless dual lens comes with multi-focus technology, a sealed optics, a temperature compensation, a patented double conductive shielding, as well as a spherical lens design, and dual-purpose optics. The CX-702RS dual lens also features a 3 step lens angle adjustment, 68 detection zones, an LED alarm indicator, a 20 second 2/4 pulse count, as well as a 0.3 to 1.5m/sec detectable speed. This professional wireless dual lens can be used with transmitters and receivers and can enhance an application when used.